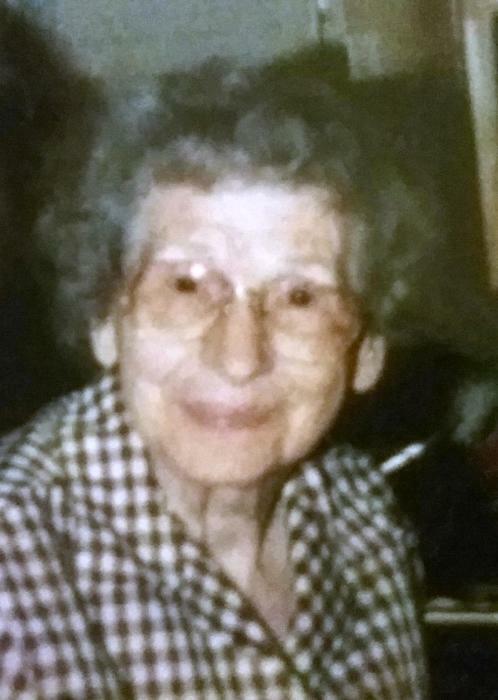 Kate Samantha Hamby, 98, of Horseshoe Bend, Arkansas, passed away Thursday, November 22, 2018, at Diamond Cove Healthcare in Horseshoe Bend, Arkansas. She was born in Bald Knob, Arkansas on March 15, 1920, daughter of the late John Stephen and Kate (Hood) McDonald. Kate spent her life as a loving daughter, sister, wife, mother, grandmother, great grandmother, aunt and friend. She was a hard worker and a very giving person. Kate loved to cook and was famous for her chocolate chip cookies. She would always make sure to have a meal ready for family. Kate also loved to garden, knit and crochet. She won many blue ribbons in the county and district fair for her knitting and crocheting. Kate was a member of New Beginnings in Jesus Fellowship Church in Horseshoe Bend, Arkansas. Kate is survived by her son, Tommy Fralick of Evening Shade, Arkansas; daughter, Jeanette Gaylord of Boliver, Missouri; daughter-in-laws, Teresa Reed of Salem, Arkansas, Geraldine Reed of Bald Knob, Arkansas and Frances Reed of Trumann, Arkansas; sister, Freddie Waddington of Little Rock, Arkansas; 20 grandchildren and 7 great grandchildren. She was preceded in death by her sons, James Reed, John Reed and Jerry Reed; granddaughter, Gina Reed Humes; grandson, Scott Reed; sisters, Bertie Shimek and Hazel Laster and brothers, Eugene McDonald, Clarence McDonald, Snell McDonald, John McDonald, Robbin McDonald, Otis McDonald, Lester McDonald and Lindberg McDonald. Funeral service will be held Saturday, November 24, 2018 beginning at 11:30 AM at Doty Family Funeral & Memorial Service Chapel in Horseshoe Bend, Arkansas with Bro. Tom Doty officiating. Visitation will be from 10:00 AM until service time. Burial will be in Shady Grove Cemetery in Bald Knob, Arkansas following services.